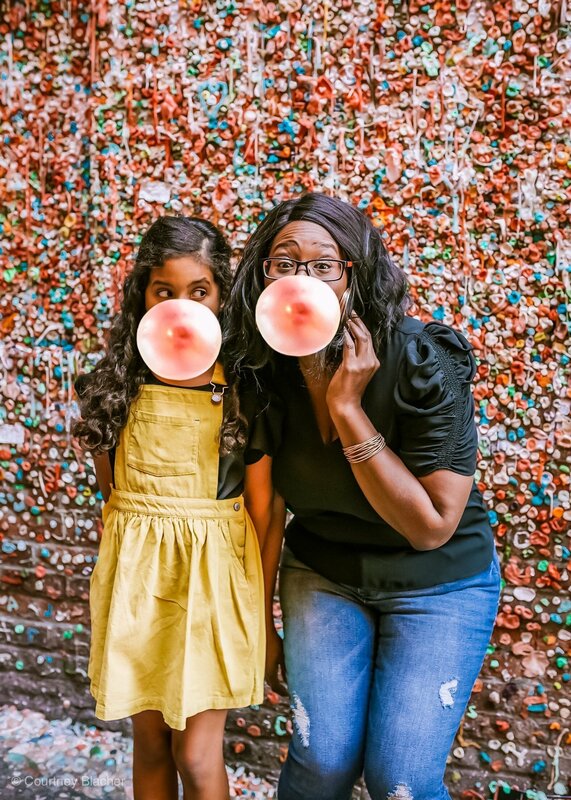 Are you looking for a fun dessert to make? Oh, I know most holidays are over now. With Christmas, Valentine’s Day, and even Easter being over, we’re left without a reason to celebrate, right? Hell no! The fun’s never over! I’ve got a recipe that will allow you and your kids to celebrate all year-round. 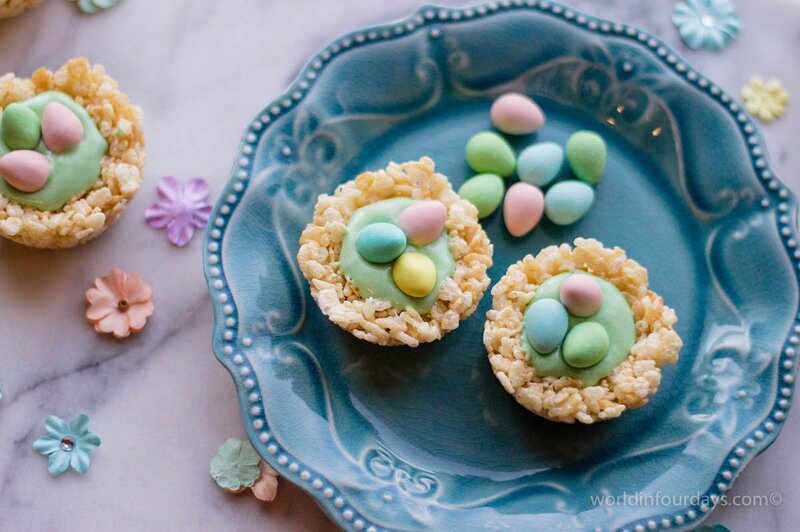 It’s a Rice Krispy Nest Recipe that’s to die for. 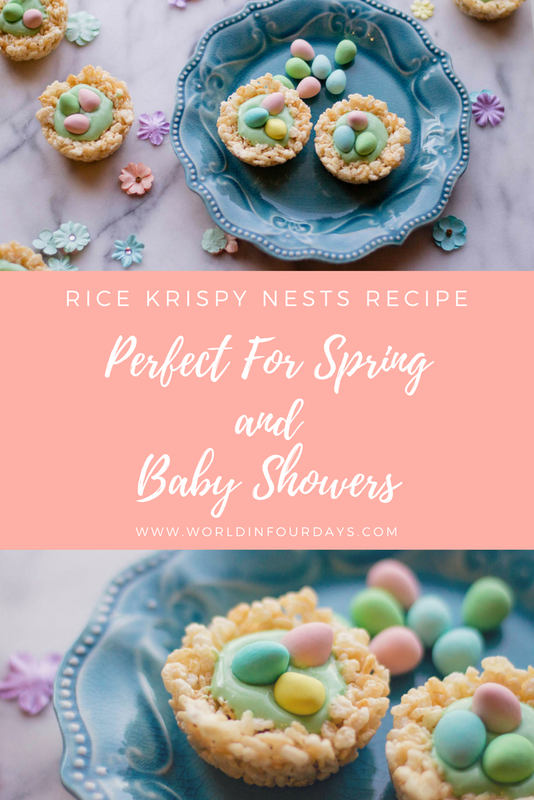 Now you could certainly create a square pan of Rice Krispy treats, but I always find interesting ways to up the game when I’m in the kitchen, which is why these little bird nests are so much fun to make, and oh-so delicious too. Trust me, it’ll feel like sheer bliss in your mouth. They make great treats in the springtime and summer because they’re light. 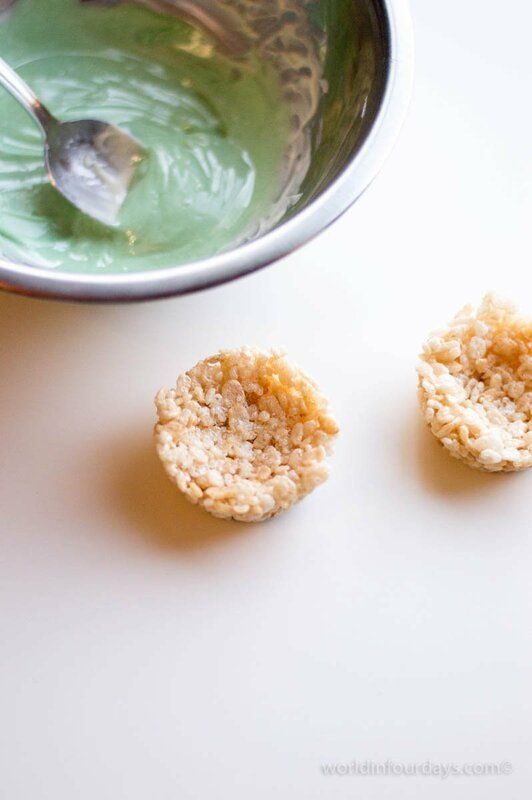 Plus, the Rice Krispy cereal in this recipe is nutritious, and you certainly don’t want your little ones eating sweets all the time while they’re waiting for the new school year to start in the fall. Asides from making this recipe any given day, for no particular reason than to treat yourself, I think this treat would be great to make around the 4th of July as well. 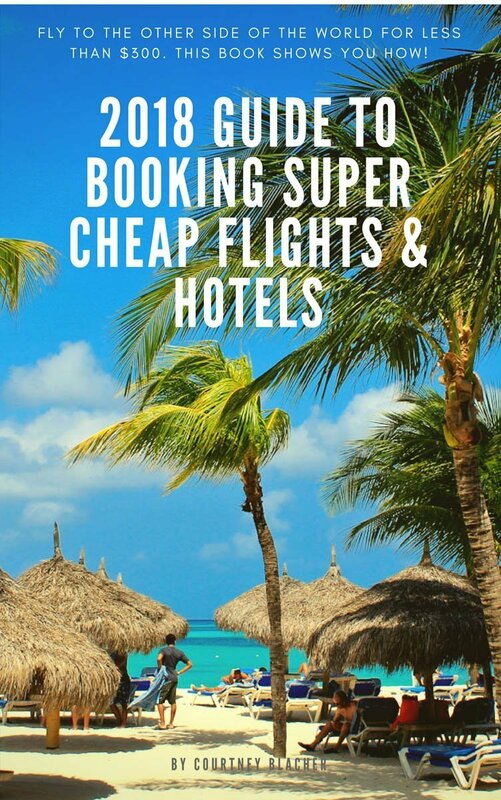 Heck, you could even save this one for when the holidays approach at the end of the year. 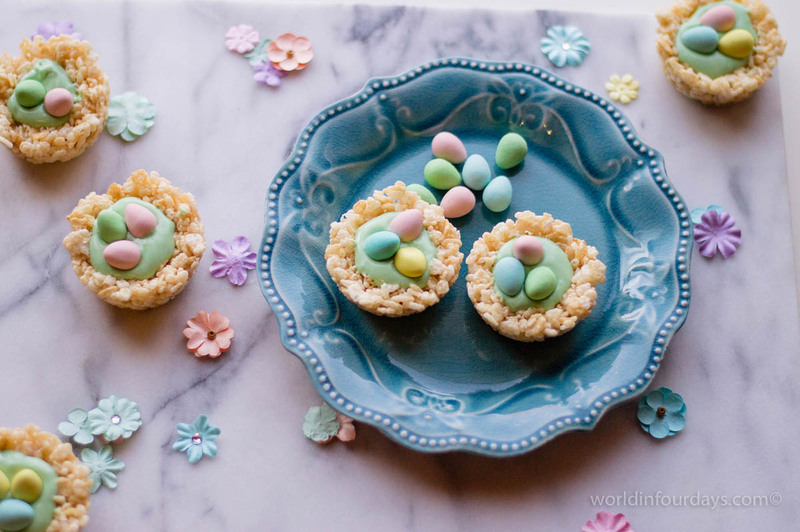 Your kids will be begging you to make these Rice Krispy Nests over and over and over again. In fact, get the little ones involved! 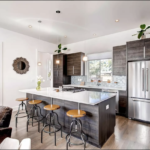 You can help them squish the nests to give it the right shape or just help you around the kitchen. What you’ll end up with is a recipe that’s perfect for any holiday occasion, and it’s pretty simple to make. Coat a standard muffin pan with butter and set aside. 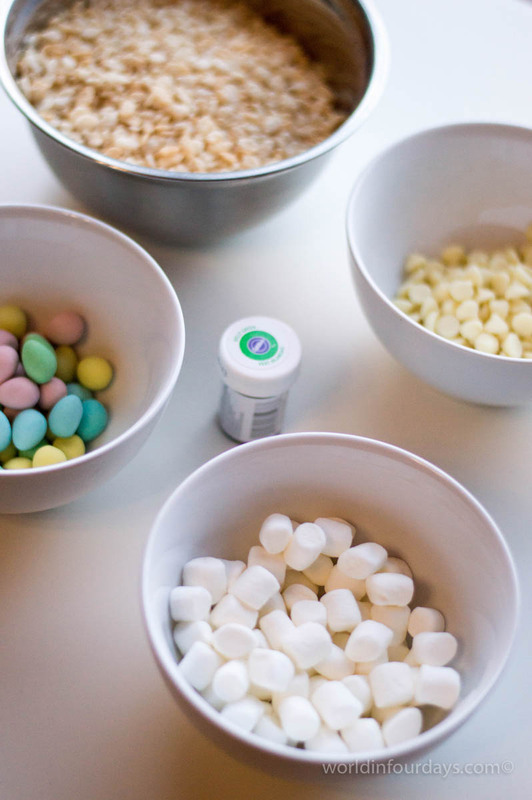 In a medium-sized pot on medium heat, melt butter and marshmallows together. Once melted, remove from heat and add rice cereal and mix until cereal is well-coated. 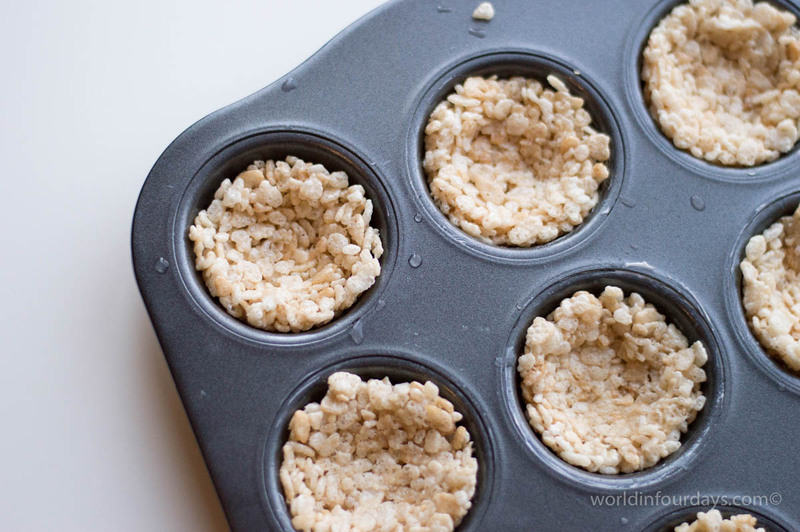 Place enough of the cereal mixture in each muffin tin to so that it is filled. Shape it so that there’s a groove/indent in the center. Allow to cool completely and remove from muffin pan. Using the double-boiler method, melt white chocolate. Remove from heat and add 2 small drops of food coloring (or until you achieve the desired shade).